Taking a bus or taxi is recommended for getting to the ground. Buses go from Liverpool City Centre, at Queen Square Bus Station, facing Liverpool Lime Street, next to the Marriott Hotel. See the public transport section for more information. The station is located at 1 Marsh Street, Liverpool L20 2BN; 15 mins’ walk from the ground. Directions to ground: Head west turning onto Marsh Street; turn right onto Westminster Road; left onto Goodall Street, passing through Harlech Street and Andrew Street, then turn right onto Goodison Road. Directions to ground: take a Merseyrail train from Liverpool Central two stops to Kirkdale, and follow the instructions above. Alternatively take a bus using the details below. Directions to ground: walk two minutes along Berry Street, take a Merseyrail train from Liverpool Central two stops to Kirkdale, and follow the instructions above. Alternatively take a bus using the details below. Routes from Queen Square Bus Station just opposite Lime Street Station in Liverpool City Centre include: 19/19A, 20, 21, 130*, 210*, 250*. Goodison Park is located 2.5 miles northeast of Liverpool City Centre, accessible using Great Homer Street and the A580. The A580 runs past the stadium and out towards the east of the city. The stadium sits alongside the A580, just northwest of Anfield Cemetery and Stanley Park. A busy residential area, so driving to Goodison Park is only recommended if you are arriving early, as the surrounding streets have parking restrictions on matchdays. A strict residents' parking scheme is in place on the streets surrounding Goodison Park, and surrounding roads are closed 2 hours before kick-off. A full road closure will be in place 45 minutes before kick-off, and remains in place for 15-30 minutes after the final whistle. 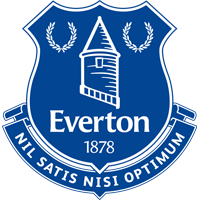 Car-parking facilities can be found approximately half a mile away from Goodison Park at the junction of Priory Road and Utting Avenue. Prices for parking are displayed on entry. 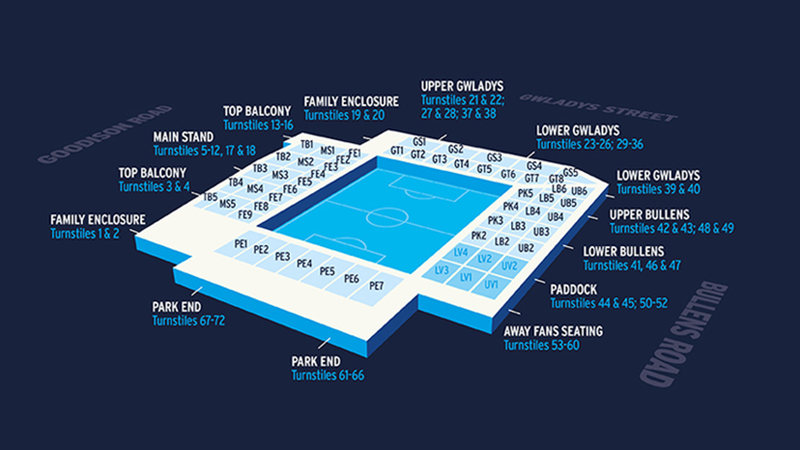 There are several other parking facilities that you can pay for and use on matchdays. Goodison Park was the country’s first purpose-built football stadium and has remained the home of the Toffees for the last 125 years. It is one of the oldest and most recognisable grounds in England. Outside the Park Stand is a tribute to the legend Dixie Dean, who scored a record 60 goals in the 1927/28 season.